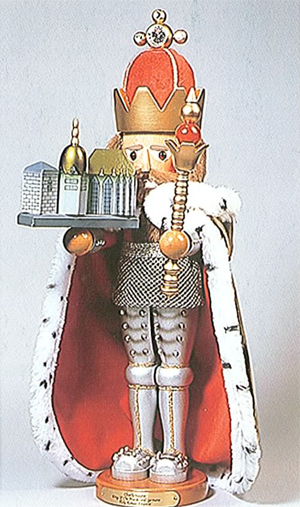 In 1998 Steinbach introduced a new nutcracker series, the Steinbach Famous Royalty Nutcracker Series. 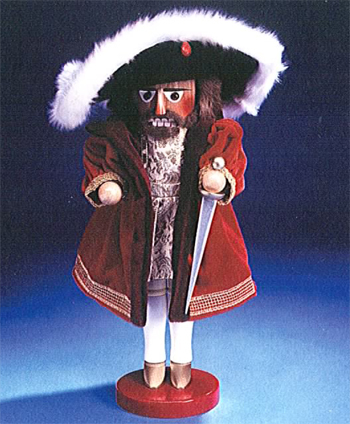 First to premier was the King Henry VIII (ES1823) Nutcracker. King Henry VIII comes prepared to impress with his luxurious and regal attire. His luxurious velvet robes, brocade tunic and dashing hat with white fur trim are befitting only someone in his position. This nutcracker's brocade tunic has seven creases and is needled from golden brocade fabric. The overcoat is made from red and burgundy velvet, which is of top quality and very expensive. This nutcracker was limited to 7,500 pieces. Of course we all know the story of King Henry VIII and his six wives; Catherine of Aragon, Anne Boleyn, Jane Seymour, Anne of Cleves, Kathryn Howard, Katherine Parr. This popular rhyme tells of the fate of Henry VIII's six wives: divorced, beheaded, died, divorced, beheaded, survived. King Louis XIV ruled from 1643-1715 and was deemed the “Grand Monarch”. He spent lavishly in building the palace at Versailles and in maintaining it’s brilliant and luxurious court. This excessive extravagance translated into a heavy burden of taxation for the common people. This burden precipitated the events that led to the rebellion that ultimately drove the Bourbons from the throne. Louis XIV ruled longer than any other European king: it was 72 years from the time he ascended the throne as a child of less than 5 until his death in 1715, outliving his son and grandson. His great grandson, Louis XV, the last son of the Duke of Burgundy, succeeded him. King Charlemagne was the King of the franks and the Emperor of the Holy Roman Empire. He was a very dignified man at six foot four inches. At one point in time his reign covered France, Switzerland, Belgium and the Netherlands. It also included half of present-day Italy and Germany and parts of Austria and Spain. He established a Central Government in Western Europe and restored most of the Old Roman Empire and made way for the development of modern Europe. Steinbach has made King Charlemagne an Exclusive Limited Edition of 7,500 pieces. This nutcracker is the third in the Steinbach Famous Royalty Nutcracker Series. 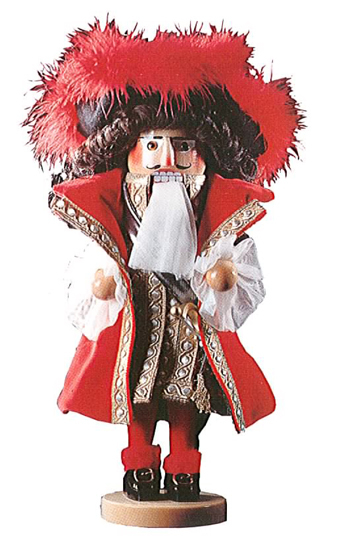 The fourth addition to Steinbach’s Famous Royalty Nutcracker Series, Napoleon Bonaparte (ES1781) Nutcracker was introduced in 2004. Napoleon Bonaparte is credited with helping to modernize and galvanize French society and never shied away from battle. Indeed, he conquered many faraway lands and expanded his nation into a veritable Empire. 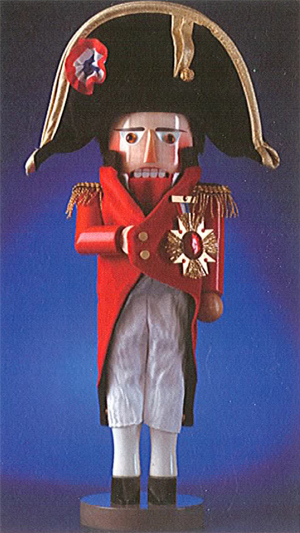 The Napoleon Bonaparte Nutcracker was a limited edition to 5,000 pieces. This nutcracker is beautifully and lovingly crafted. He stands at 19 inches tall. This nutcracker celebrates a legend that carries on as vividly today as it did two hundred years ago when Napoleon was crowned Emperor of the French Empire. Even though Napoleon’s glory days on the battlefield have been over for centuries, this nutcracker is just beginning to conquer hearts all over the world.